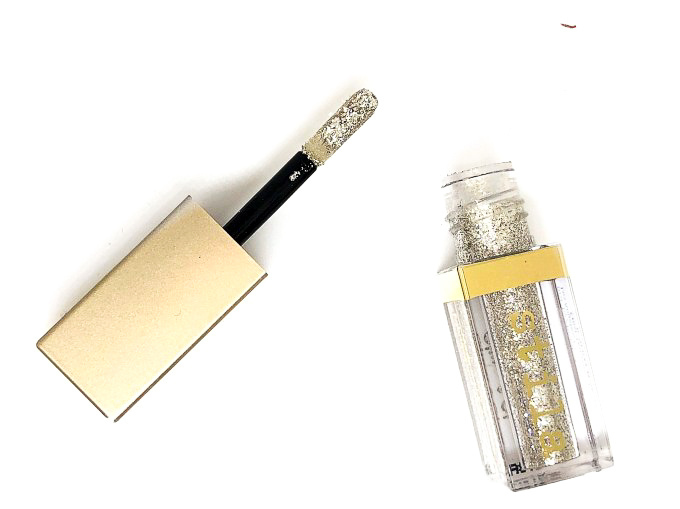 I’m so excited for this review, today we are talking about the Stila Glitter & Glow Liquid Eye Shadows in the shades Diamond Dust and Kitten Karma. 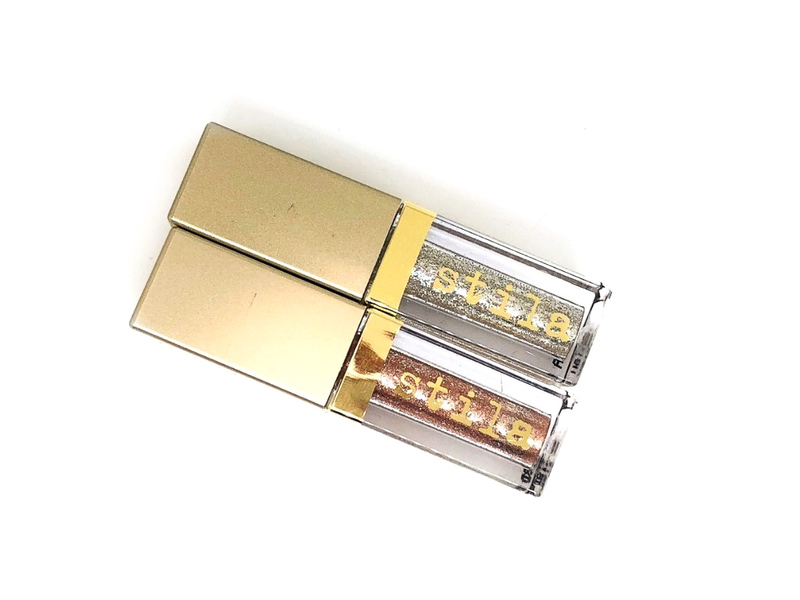 Stila is not super easy to get in Italy which is a shame, you can only get it online so even if it’s not that hard I have never gotten around to buy these eyeshadows, despite the fact that I had them in my Christmas Wishlist last year. But it has been Julia’s birthday a month ago and since I was buying her present on beautybay (read Jeffree Star Cosmetics) I decided to sneak in some of this for me, so they are actually minis and they came in a set of three (one I gave it to her) for the price of one. A deal I couldn’t pass on. 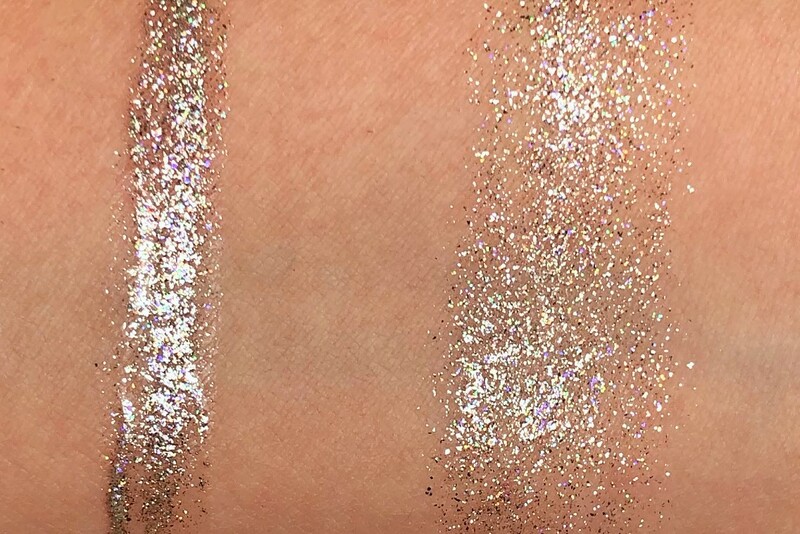 These glitters are super popular so chances are that you might already know them but in case you don’t you can get them from sephora for 24$ each or you can get the kit I have here for 25$. Silver and multi coloured glitter in a clear base. 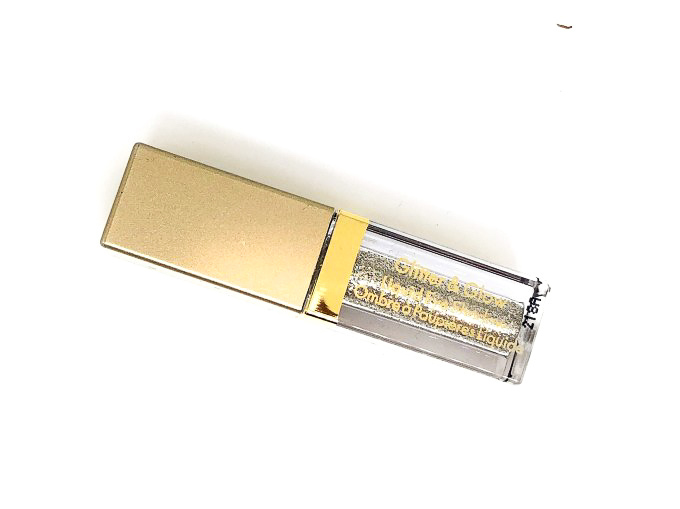 The packaging is a thick and relatively small tube in a hard plastic material. The shade name is written on the bottom. It is really nice and sturdy, I like it. 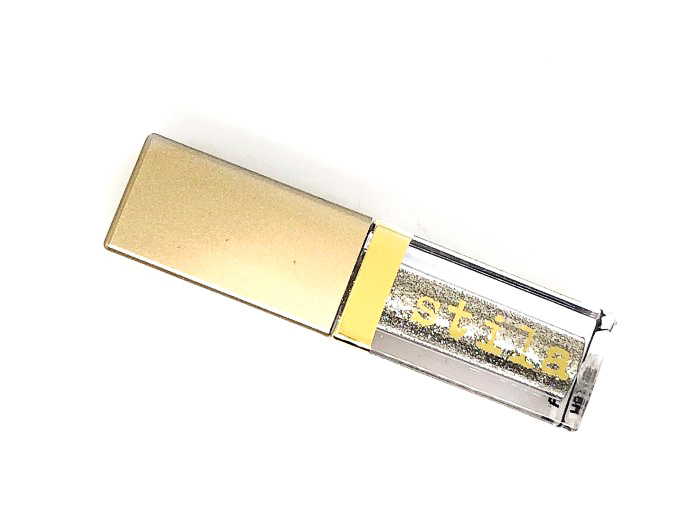 It has a flat doe foot applicator that I love, it picks up just the right amount of product. 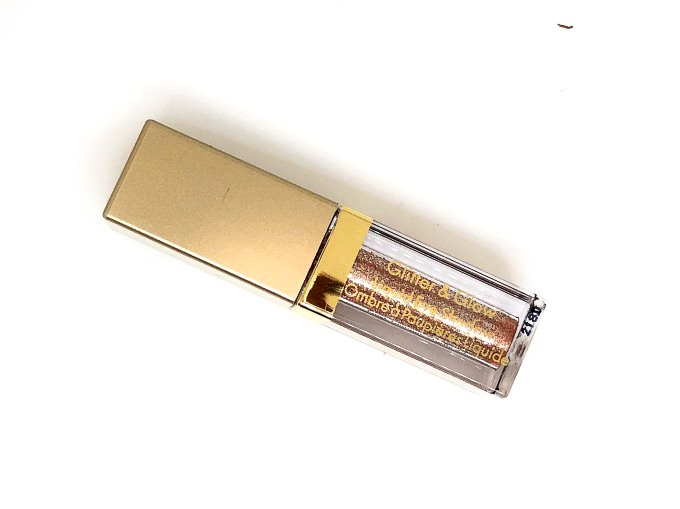 The formula feels like a very intense glitter liner. The colour is super glittery but you don’t get any glitter fall down through the day. It’s not patchy at all. It tends to separate in te tube so you have to mix it with the applicator before putting it on. The doe foot applicator allows an easy application and the shadow is easy to blend with the finger. You have time to move it around but once it sets, you won’t be able to move it. WITHOUT Primer: This shadow lasted for 8 hours on me before starting to crease. I have extremely oily lids so I was pleasantly surprised. WITH Primer: This shadow was bullet proof. I had it on for 12 hours and it was still perfect. If something it got even better. It was still super glossy and I had no creasing at all. 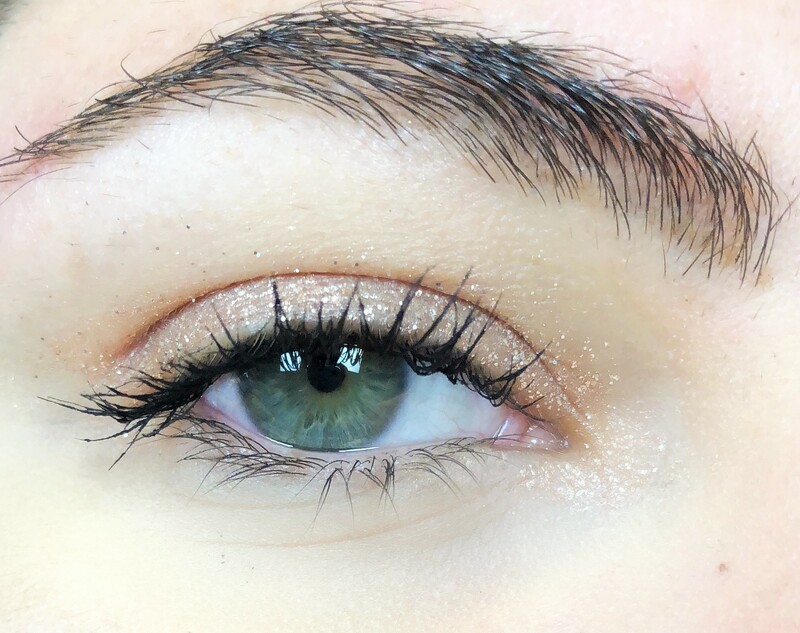 The swatch on the eyes looks patchy because of the way glitter reflect light, in real life it’s not. This eyeshadow is stunning. 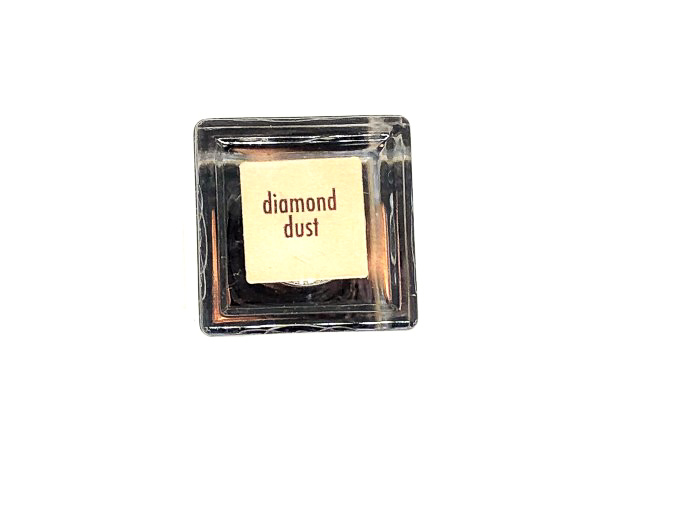 I’ve been using it every time I can alone or especially on top of smokey eyes. 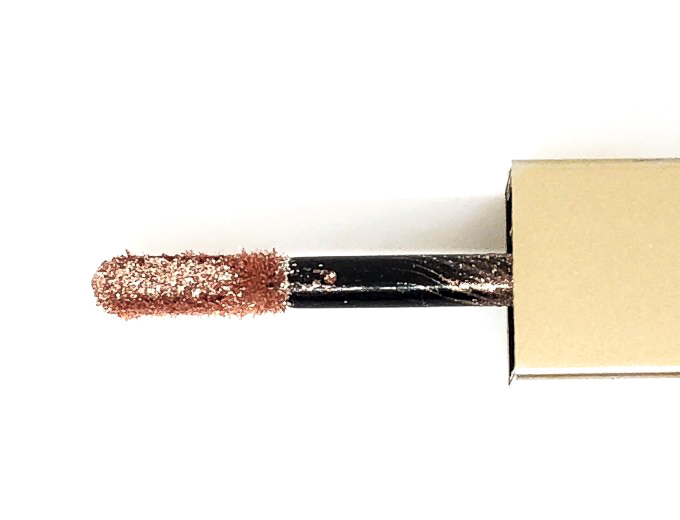 It’s insanely easy to use, super blinding and long lasting. If you are looking for something quick to use daily you’ll love it. 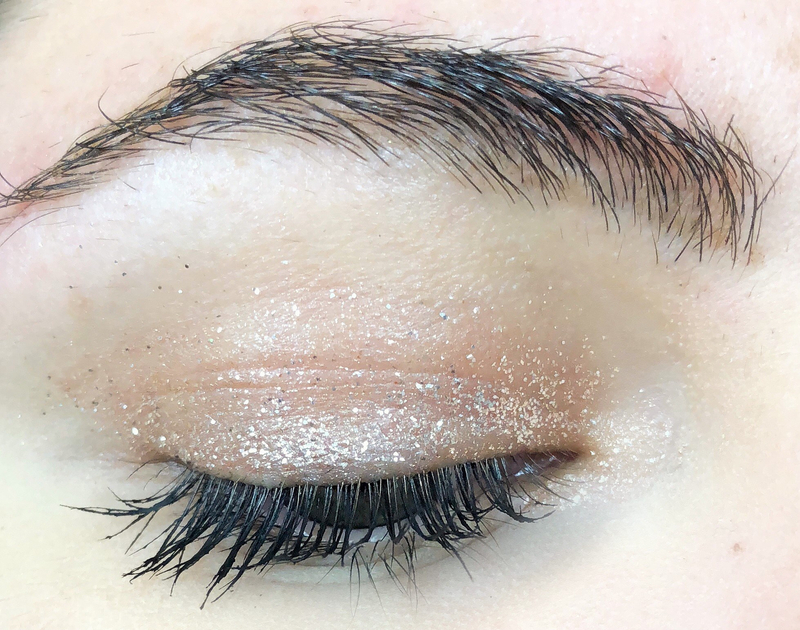 Silver glitter in a rose gold base. 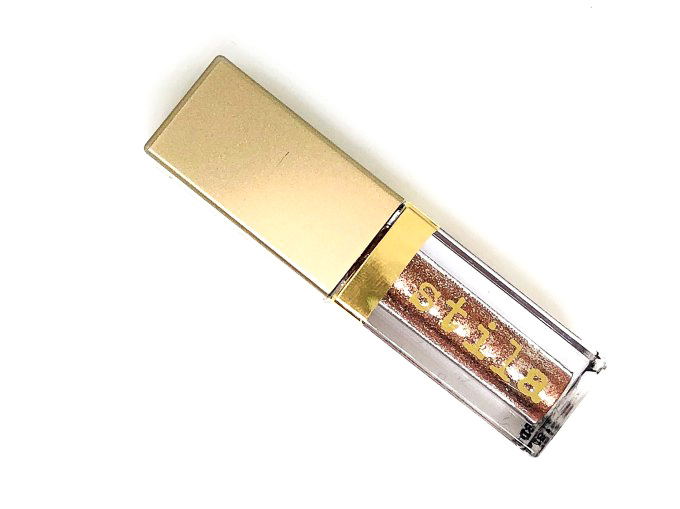 The formula feels like a very intense glitter liner. 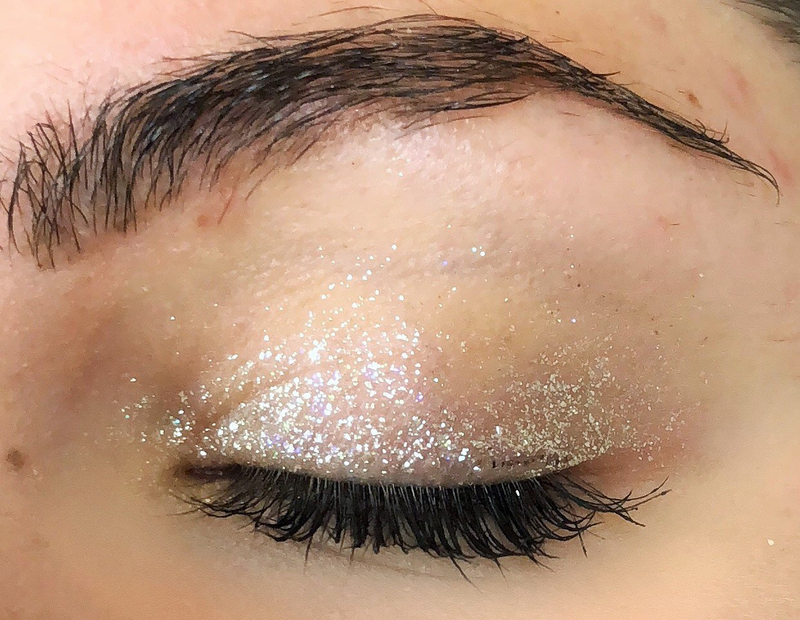 The colour is super glittery but the base makes it look more like a cream shadow so you can easily use it alone, something that you can’t do with the other one (I mean you can but this looks better). You don’t get any glitter fall down through the day. It’s not patchy at all. WITH Primer: This shadow was bulletproof. I had it on for 12 hours and it was still perfect. If something it got even better. It was still super glossy and I had no creasing at all. 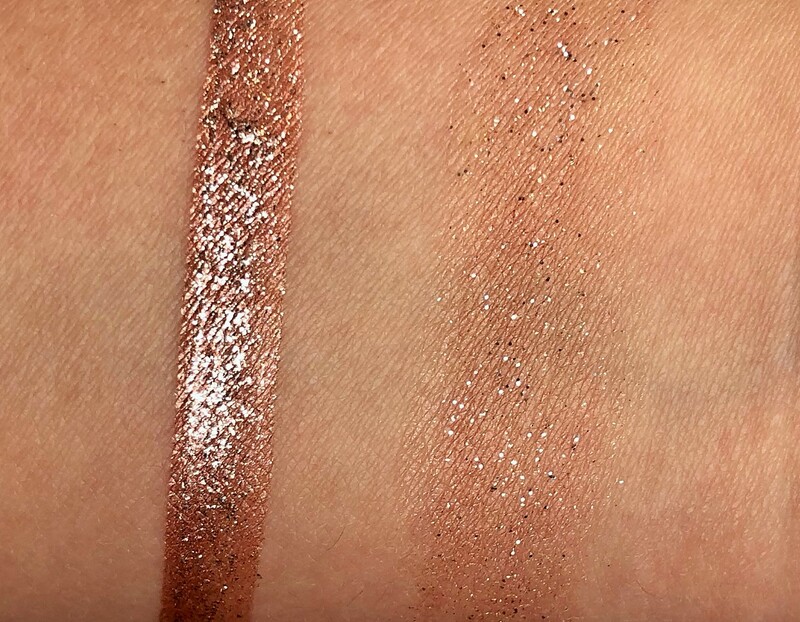 This eyeshadow is stunning. I’ve been using it every time I can. 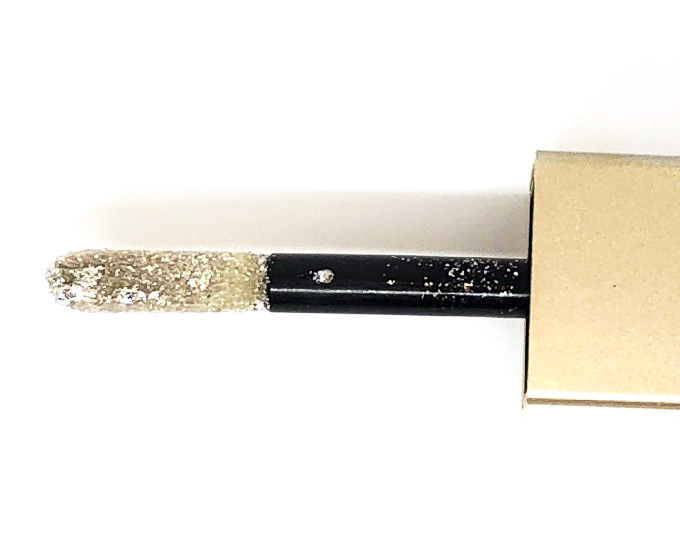 It’s insanely easy to use, super blinding and long lasting. If you are looking for something quick to use daily you’ll love it. Just the perfect amount of sparkle for the holidays!! Love it! Those eyeshadows are stunning. 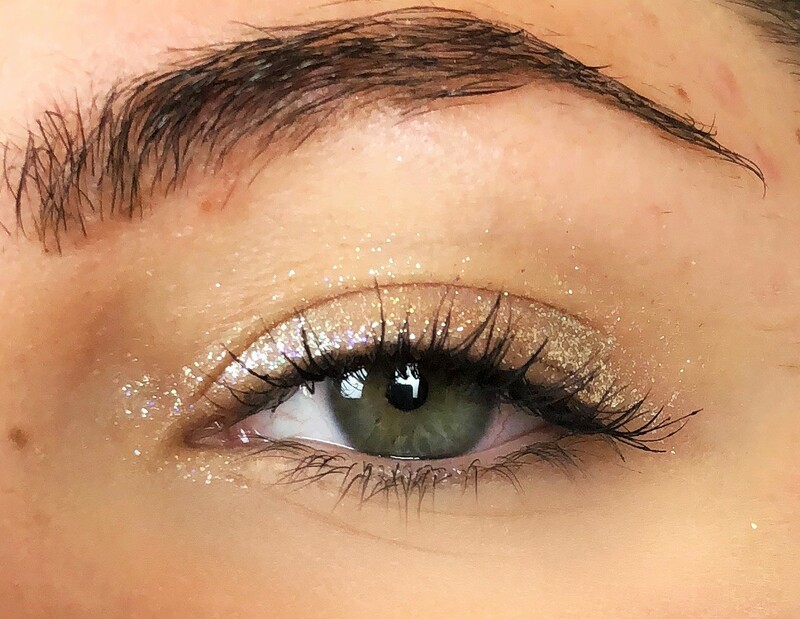 I love the sparkly looks especially for the holiday season. 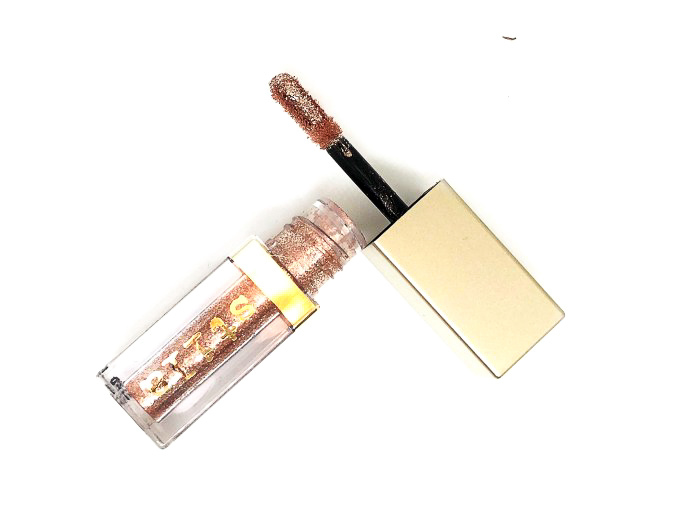 It’s a glitter girl’s dream come true. I love these. I have the shade Smoldering Satin, which is a taupey brown glitter. Stunning. I don’t use it enough! Lovely review as always! I really want to try them out, I won a stila eyeshadow in a giveaway so I am waiting till I receive the products, can’t wait!! Stila products are my alltime fave 🙌 I’ve been looking for eye shadow like this and def getting the rose gold! Thanks! Wow the result is gorgeous!! 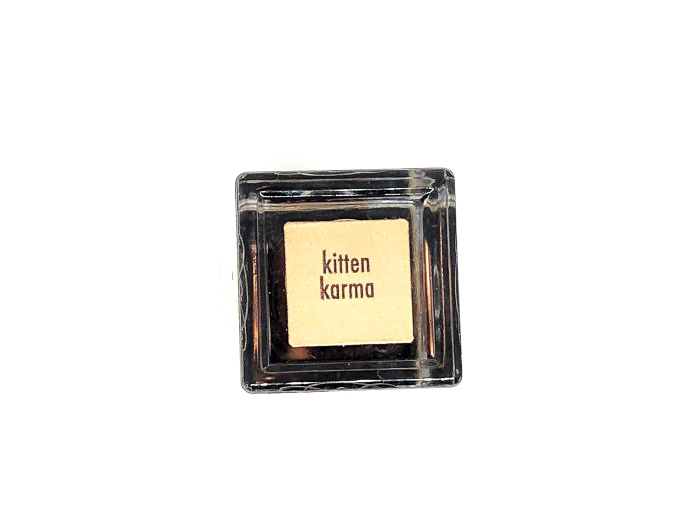 I love the Kitten Karma 😍 Didn’t know you could have some liquid eyeshadow!